Location: Escorailles, in the Cantal departement of France (Auvergne Region). 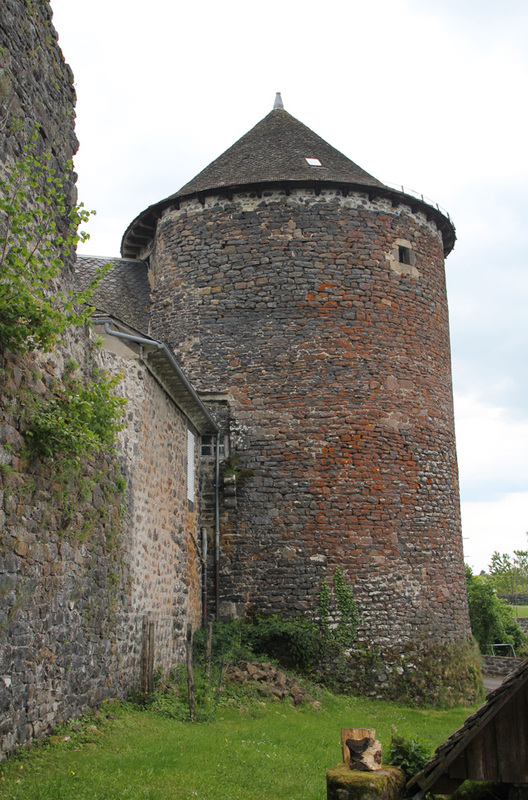 Notes: Château d'Escorailles is an ancient fortified town on the Escorailles in the Cantal. Château d'Escorailles, which is mentioned family Scorraille from the twelfth century, differs from that forum. The fortified site was abandoned and the castle settled above where he gave birth to the present village of Escorailles to the eleventh century. Following centuries of ownership, threatening the castle ruins, the castle was abandoned in the mid-sixteenth century in favor of the castle of La Vigne Scorraille that the family built not far away on a former farm at Ally. Today the castle ruins still reveal huge sections of walls, the ancient fortifications that formed a rectangle parallelogram with each angle was probably completed by a tower. A big tower is still in good condition and another covered with ivy.